Increase micro-circulation and stimulate lymphatic drainage. Instantly refresh, tone and add hydration. 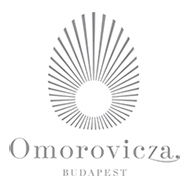 Omorovicza Gift Sets offer you a selection of your favourite Omorovicza products and ranges. In luxurious packaged gift sets that are perfect as a treat for yourself and as an introduction to Omorovicza. A good cleanser is the foundation of good skin. From balms and foams to gels and creams, Omorovicza's award-winning range of cleansers and iconic facial mists refreshes, balances and hydrates your skin ahead of your skincare regime. 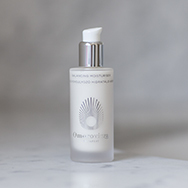 Whether you want to balance oil or address wrinkles, all of Omorovicza skincare is developed with HEALING CONCENTRATE™. This patented technology utilises the healing benefits of mineral-rich waters to nourish, repair and heal your skin. The indulgent face masks help to bring balance to your complexion. Perfect for an at-home pampering, these face masks address all skincare concerns from oiliness and blemishes to dryness and wrinkles. Transport yourself to the spa-capital of the world with a little help from Omorovicza's luxurious, healing skincare. The benefits of the thermal spring waters of Budapest have been used for thousands of years. In the 1800's, the Omorovicza family build the beautiful Racz spa in Budapest, on the site of a medieval healing spring. 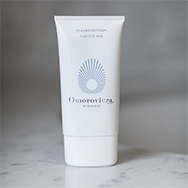 Omorovicza skincare is developed with patented HEALING CONCENTRATE™. This technology utilises the healing benefits of mineral-rich waters to nourish, repair and heal your skin.